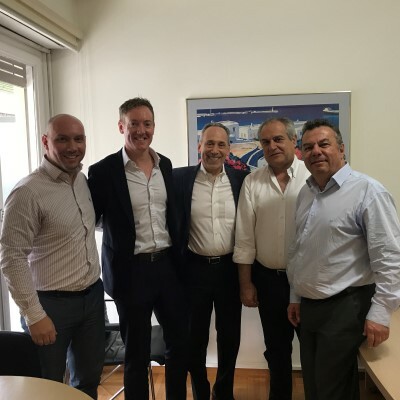 New Russell Bedford CEO, Stephen Hamlet, and chairman, Bill Rucci, visit host member firm ahead of the International Tax & European Conference 2017 in Athens. Russell Bedford International’s new CEO, Stephen Hamlet, and chairman, Bill Rucci, today visited this year’s hosts of the International Tax & European Conference, Action Auditing, in Athens, Greece. An expected almost 100 delegates from 30 countries around the world will be arriving in Athens over the coming days for an exciting programme of events. The conference is due to commence this Friday 19 May.